Jaleo | Washington DC | dreaming of the next bite. We decided to ring in the new year in a new city. DC is a short 45-minute flight from CAK, making it a perfect weekend getaway. Several weeks prior, after finding a centrally located hotel called Sofitel, (one block from White House, highly recommend) I was off to finding the perfect restaurant for new year’s eve. After some quick research and blog-perusal, I made reservations at Jaleo, a recently remodeled Spanish tapas bar, owned by Chef Jose Andres. For our nine o’clock reservation, we were seated in a private room at the front of the restaurant, separated from other diners by a swanky metal curtain that cascaded down to the floor. While some may have loved this table, it made us feel a bit removed, and at the same time, on display to everyone walking by the restaurant. But in the end, it worked. 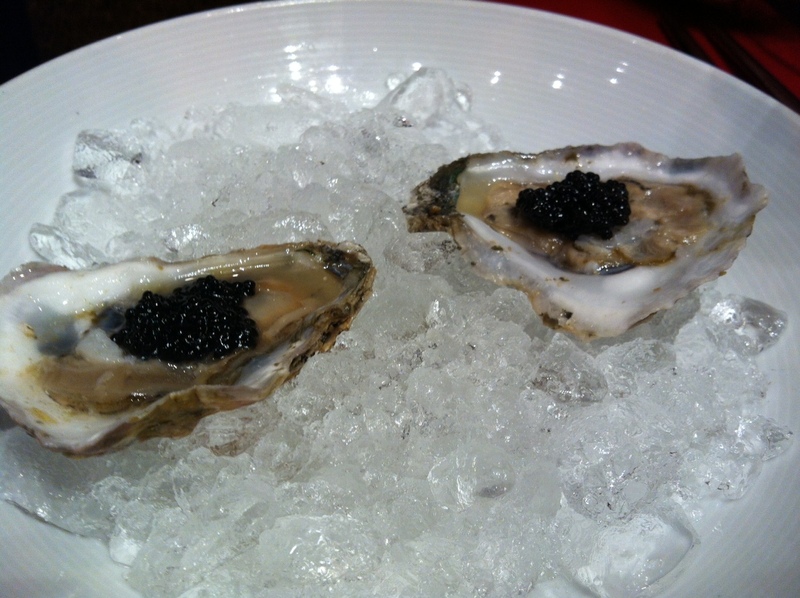 First up, oysters with caviar. This was new. Smooth, easy to eat, tasted like salty ocean. 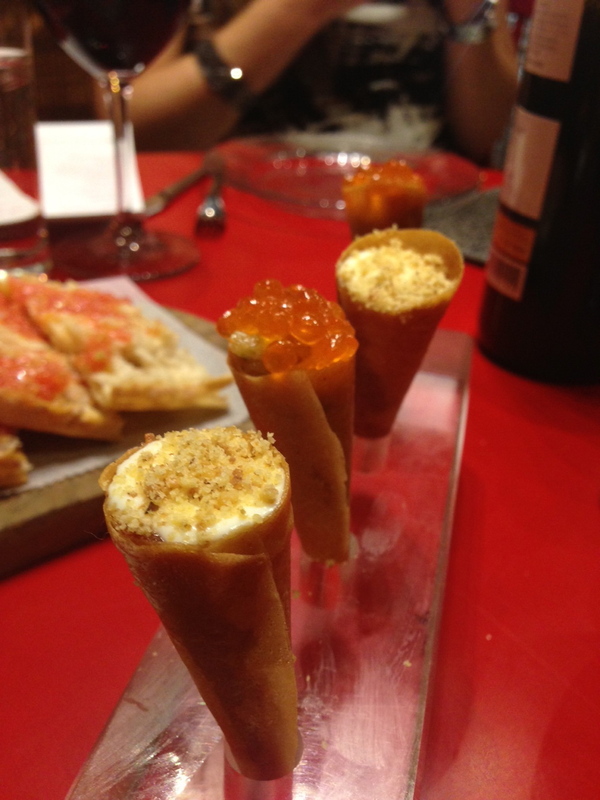 These crunchy “cones” were filled with salmon tartare and trout roe, and the second with Serena cheese and quince paste. Scrumptious – the salmon and roe was my favorite. 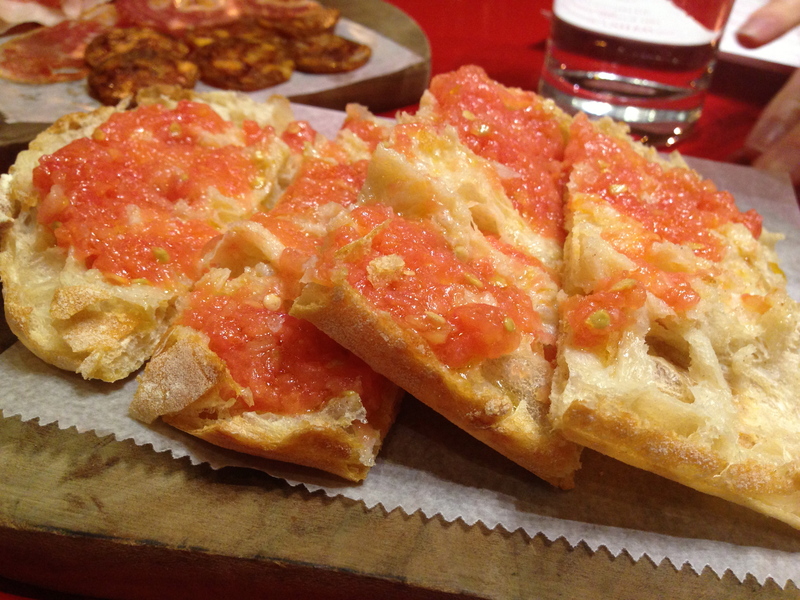 The final element to the first course was toasted bread brushed with fresh tomato and cured meats from black-footed Iberico pigs of Spain. Tasty buggers. We were topping the bruscetta with the meats and the result was delightful. 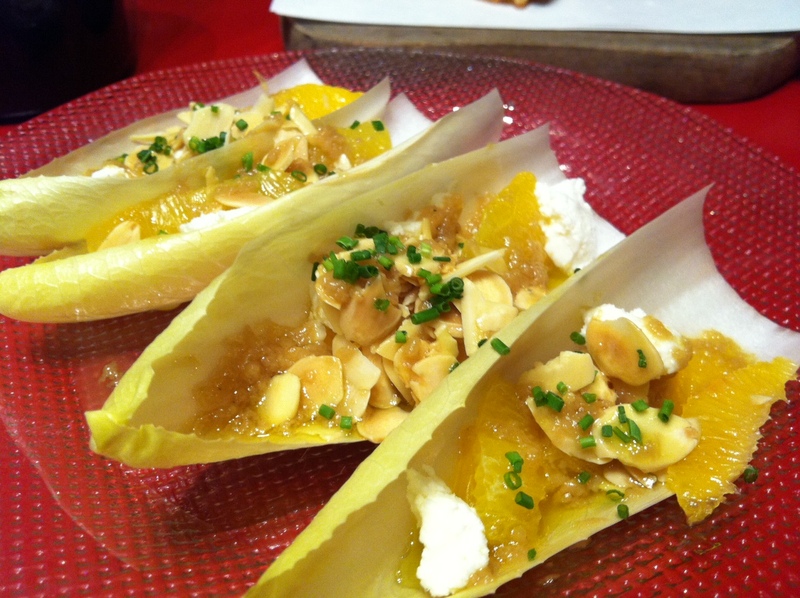 Second course started with Endive, goat cheese, orange, and almond. 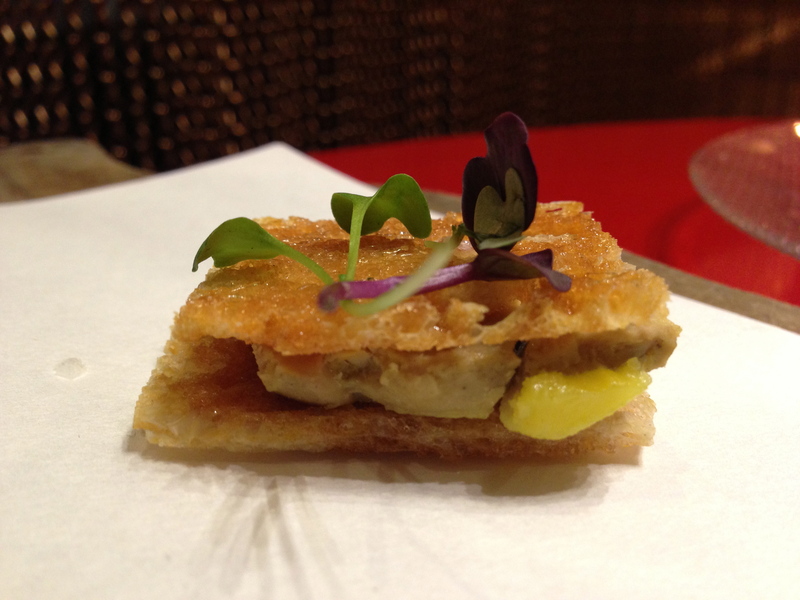 The foie gras terrine sandwich was a pleasing combo of an incredibly rich foie gras, with a slightly sweet and crisp outer layer. 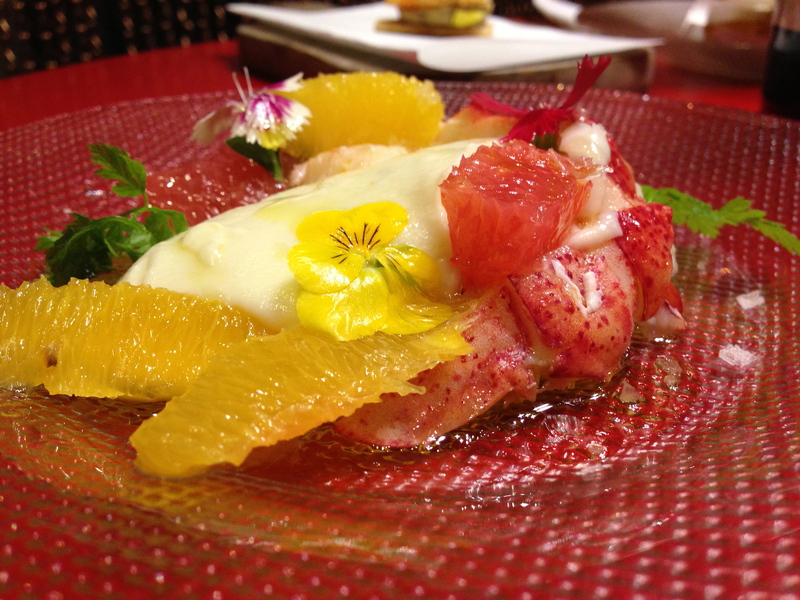 Lobster with citrus, caviar, and cauliflower. The cauliflower is actually what looks like pudding above – amazing consistency, very tasty. The addition of one more “punchy” element wouldn’t have hurt the dish though. This is where stuff got real. 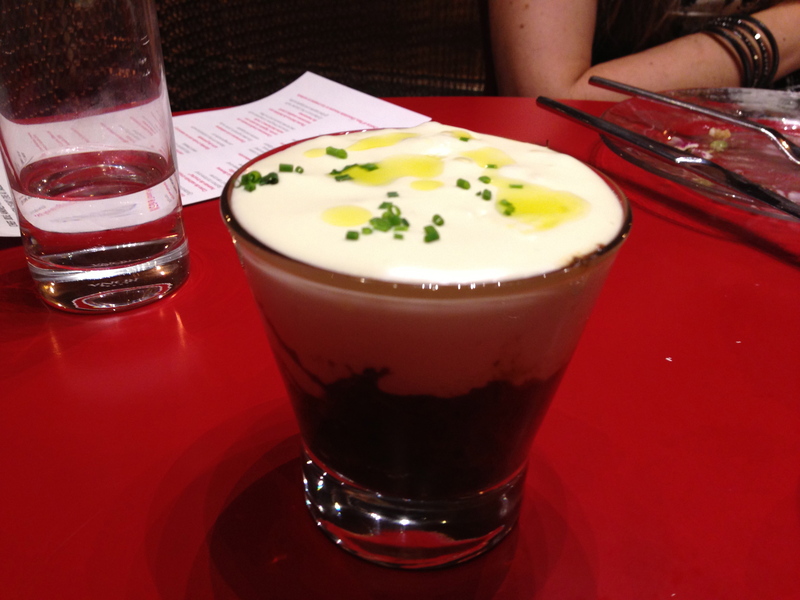 Pictured above was the beginning of the main course: hot potato foam with braised veal cheeks. The creativity of this dish was only trumped by the taste. The potato foam was fantastic, but mining down into the veal was the real reward. Rich sauce, tender beyond words, fatty, flavorful…..utterly amazing. This picture of beauty is Maine shrimp carpaccio with pomegranate air. Yes, I said air. This was one of only dishes that we didn’t finish. Neither of us dug the shrimp carpaccio, or perhaps it was the orange colored sauce. 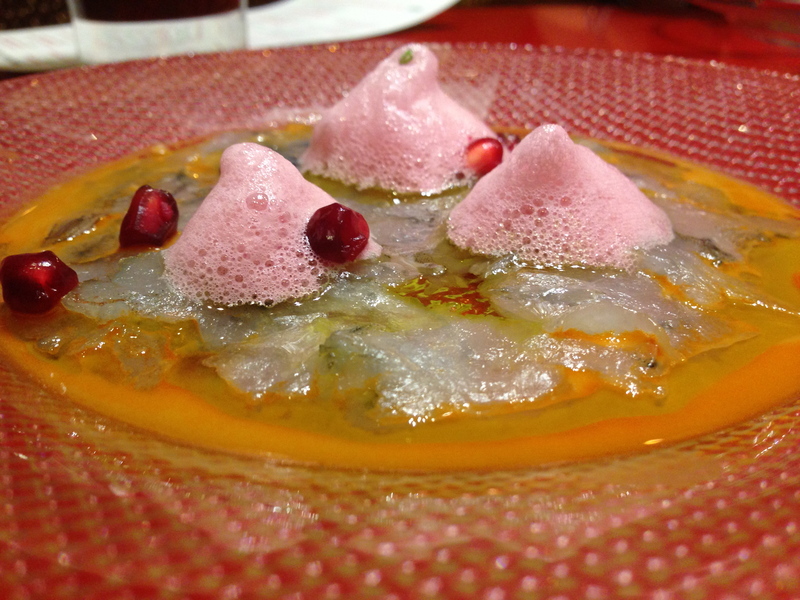 The pomegranate air was intriguing; the dish would have benefited from more. The next plate was my favorite of the night, (and a toss up between this and the potato foam with veal cheeks for Dave): pork and foie gras canelones with bechamel sauce and truffles. 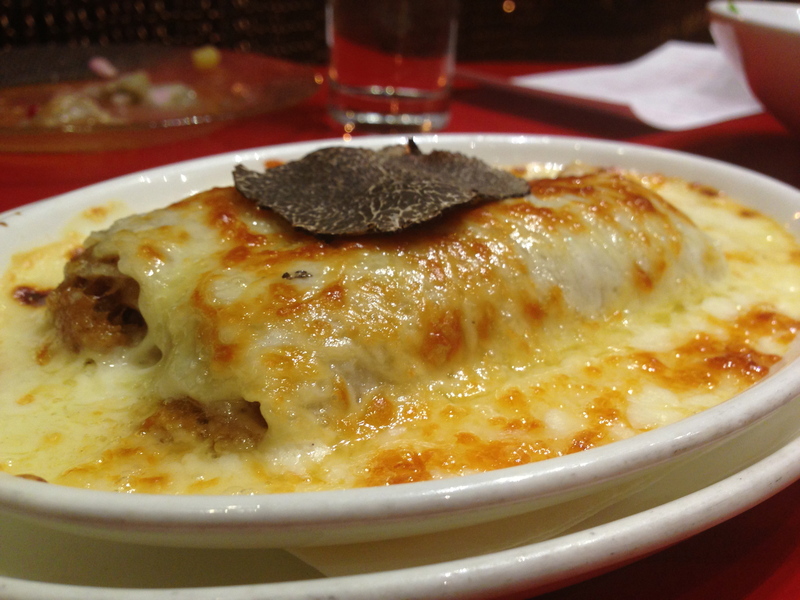 Words can’t describe how decadent this dish was….the bechamel, the flowing blanket of melted cheese. Best bite of the night, hands down. 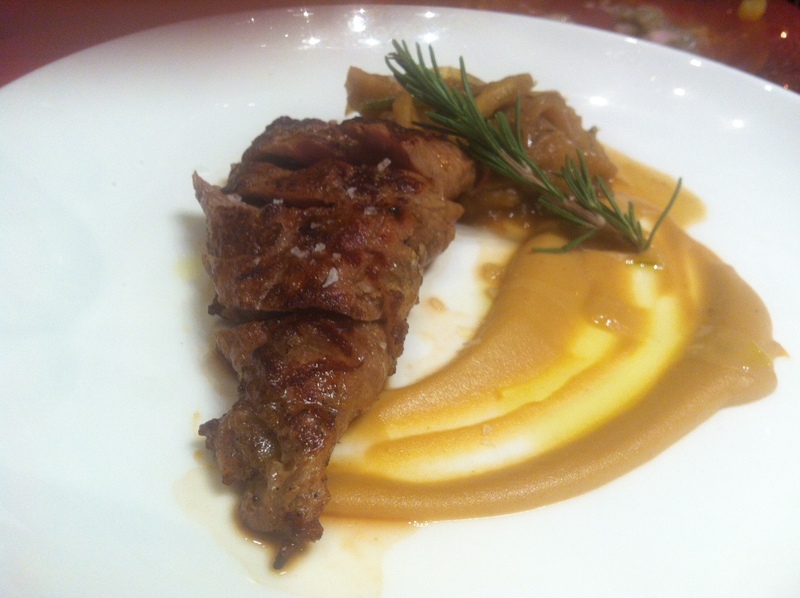 Last component of the main course was grilled acorn-fed “pluma” with grilled apples and apple puree. 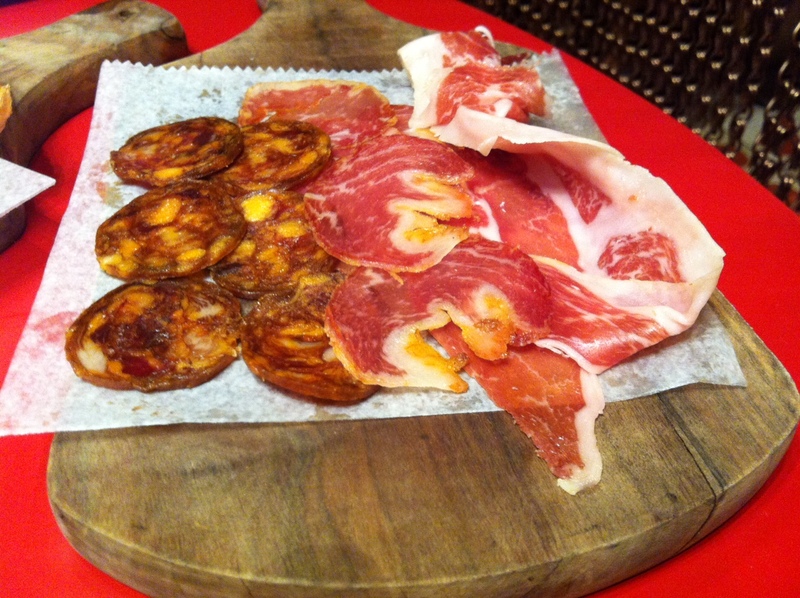 A pork dish, the cut is considered a delicacy in Spain. Very tasty with the sweet contrast of the apples. 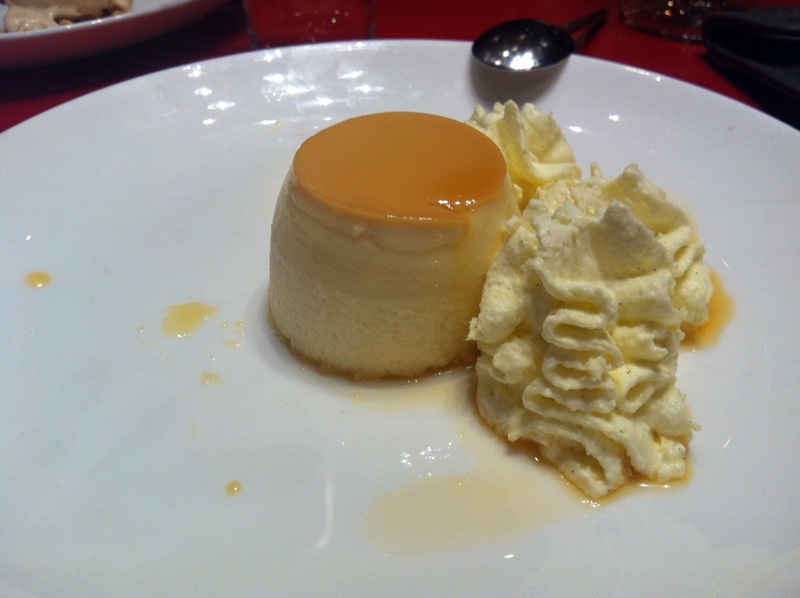 And last but not least, my second favorite bite(s) of the evening, a light, airy, creamy flan with a little lemon-infused whipped cream to accompany. Heaven. 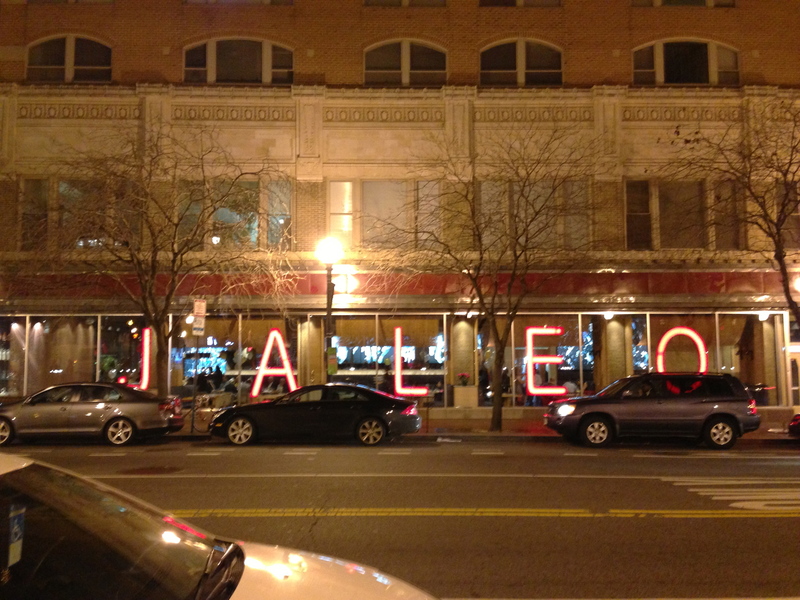 We love love loved DC, Jaleo, and the entire culinary experience that started off our new year. Happy New Year to all my foodie friends! 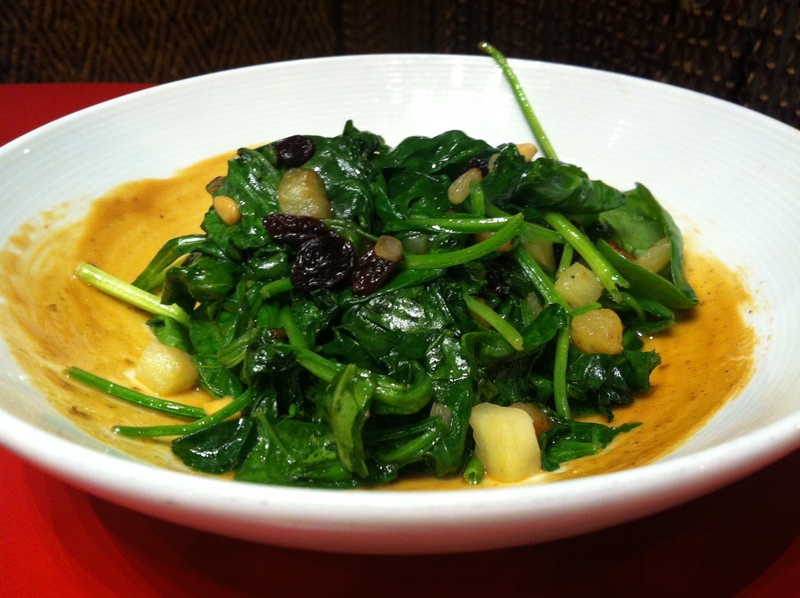 This entry was posted in Washington DC and tagged flan, spanish tapas bar, tapas by Yvette (@foodiedreamer). Bookmark the permalink. wanna come over for some hot pockets?